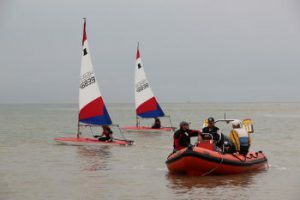 Broadstairs Sailing Club welcomes new memberships from experienced and non-experienced families, couples and individuals. 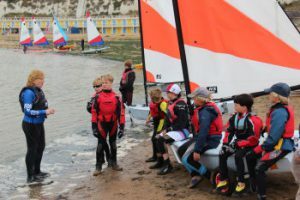 Our club is run entirely by the membership, so there are always opportunities to get involved in sailing and non-sailing aspects of the club and quickly feel that you belong. 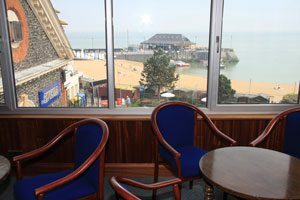 Find out more about Broadstairs Sailing Club, our facilities, history, who we are, and how to get in touch with us. The club is run by its members, and there are a wide range of activities and facilities for non-sailors as well. 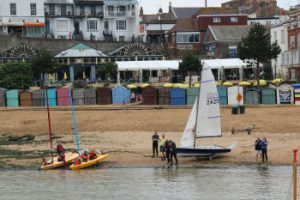 Broadstairs Sailing Club operates an active calendar of club racing and open events from March to October. We are a recognised RYA Training centre, and teach the RYA sailing syllabus, and a variety of other training.